Carrier Community has successfully organized its 10th annual EUROPE 2017 GCCM – London on 21st & 22nd February 2017 at the InterContinental Park Lane Hotel. 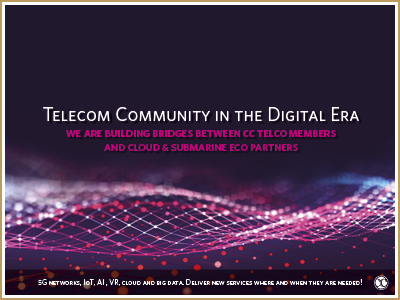 Around 780+ club members from 358+ telecom operators and 57+ countries representing decision makers from the Tier-1, Tier-2 and Tier-3 meet and networked in London. Carrier Community organized for its members during the GCCM leisure activities such as pre-event cocktail receptions, evening welcoming & a closing networking receptions while enabling them all to network in a private and relaxed environment. 11:00 - 12:30 Executive Round-table Panel Discussions Session. 16:00 - 17:00 HOTtalk: Lady Commanders – Re-thinking the wholesale business! Discover contemporary design in the heart of London where Oxford Street meets Park Lane. Guests will enjoy convenient access to some of London’s most notable West End attractions, including Buckingham Palace, the theatre district, Mayfair, Soho and the shopping areas of Oxford Street, Bond Street, Regent Street and Carnaby Street, as well as Hyde Park itself. Hilton London Green Park offers warm hospitality within a fantastic Central London location; perfect for sightseeing, shopping or a business trip. Set in Mayfair, next to Berkeley Square and Green Park, we’re a short walk from Green Park Underground Station, allowing easy access to Canary Wharf, Heathrow and Gatwick airports. Rob Malcolm is responsible for global marketing, branding and thought leadership at CLX Communications and all online sales. Rob has held a variety of roles in mobile messaging industry throughout his career and had built a wealth of expertise in the technology and messaging sector. After 15 years at Mblox, holding management positions ranging from Sales, Engineering and Product Management, Rob joined CLX following the acquisition in 2016. 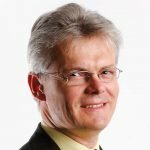 As a board member for the MEF, Rob is highly active in shaping the industry and often contributes in blogging and speaking events on innovation in messaging. Rob holds a B.S. in Electronic Engineering from the University of KwaZulu-Natal in South Africa. 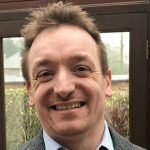 Ian Waller is working as the Carrier Relations Director at Dialogue with an over all responsibility setting the A2P strategy for mobile operators. Ian has a passion for emerging markets and breaking new ground. After 5 years working as a management consultant in Dubai with sub-Saharan responsibility he moved back to Sweden working the BSS/OSS industry then moving on to SMS aggregation. Technically Ian has a deep industry knowledge in growth strategy. roaming and SS7 security. John Haraburda is the Principal Solutions Engineer Director at iconectiv. 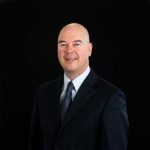 John brings his experience building Revenue Assurance and Fraud departments; managing critical business operations and spearheading business development to iconectiv to solve real world problems for our customers and prospects around the world. John supports iconectiv's Fraud Solutions product suite which addresses critical needs of the messaging operator for SIM Box detection; Grey Route detection and prevention; SS7 Security solutions; Spam filtering and our Global numbering and routing solutions. John also develops enterprise marketing solutions including consumer engagement solutions utilizing the iconectiv A2P Messaging Hub. David James has over 25 years’ experience in the telecoms and IT industry. He leads Ovum’s team of analysts specialising in the wholesale telecoms market. He and his team research, analyze, report, forecast and advise clients on developments and strategies in the wholesale market across the globe. David is also interested in the effective application of telecommunications to improve customer service and business efficiency. David has been a member of Ovum’s wholesale research team since 2003 and has led the team since 2005. In this time he has led research into the strategies of leading players in the wholesale market, devised forecast models for a variety of wholesale services, and undertaken studies on a variety of aspects of wholesale telecoms. These include wholesale customer segmentation and service portfolios, wholesale customer interaction strategies, and the implications of the rapid migration to all-IP network architectures. David has spoken at and chaired seminars, briefings, and conferences on a range of wholesale telecoms subjects around the world. Prior to joining the wholesale research team, David worked in Ovum’s Consultancy group on a variety of bespoke client projects. Before joining Ovum in 1999, David worked for Logica, Kingston-SCL, and Aspect Telecommunications. David has a Computing Science degree from Imperial College London and an MBA from Strathclyde Graduate Business School. Roz joined STL Partners as a Senior Analyst in 2016 from IHS, where she led the Smart Cities research area. She speaks Russian and Japanese and has over five years’ experience as a market analyst and strategist. During her time at IHS Roz developed and launched a new market intelligence service focused on smart cities. This included producing benchmarking studies of different smart city projects, with detailed analysis of individual cities’ strategies to become ‘smarter’ through the implementation of IoT technology. She regularly speaks at industry events on the evolution of the global smart city market. In addition, Roz has authored a number of reports on the subjects of IoT and smart city development, and has contributed to consulting assignments on strategic market development in the smart home and smart city markets. She also has experience of running detailed research surveys in Asia and frontier markets including Kazakhstan and Azerbaijan. Roz graduated from the University of Leeds with a BA Honours in Japanese and Russian languages. John is responsible for SBC Solution Marketing focusing on the wholesale carrier space. 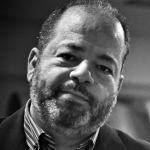 He brings 20 years of industry experience specializing in voice outsourcing and business process transformation. John joined Metaswitch from Colt Technology Services where he led the voice trading and commercial operations teams and during his time there implemented a deal that saw Colt outsource its retail international outbound traffic. Prior to joining Colt John spent 10 years at Tata Communications, the latter half in their Strategic Partnerships division implementing and managing major outsource deals and the former with regional responsibility for voice buying. John holds a BA in European Business Studies from the Nottingham Business School and, when he isn’t looking after his three young children, likes to hit a tennis ball, golf ball, squash ball or anything round that needs hitting. David Vigar is the Director of Carrier Relations at Nexmo. David has managed relationships in the messaging and voice space for nine years. 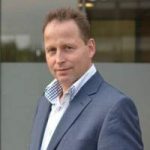 He built carrier relations in voice for Tele2 and at iBasis-KPN during their $93.3m merger, where he also developed internal processes and reporting. David led the early development of iBasis’ SMS business. A keen flautist and wine collector, David holds a BA in Economics with Legal Studies from the University of Exeter, United Kingdom. 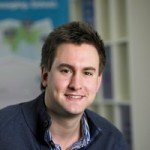 Russell is responsible for cloud and system integrator sales globally at Expereo. Expereo provides managed internet and cloud access services globally. Their customers cover a wide array of carriers, system integrators and cloud providers, as well as enterprises and government institutions. Russell has worked in the IT and Telecommunications industry for 19 years. After graduating, Russell moved from sales to sales leadership quickly in roles with companies including BASF, Marconi, Ericsson, Ciena, Brocade and now Expereo. Russell has successfully driven up sales revenues and been regularly recognised in global sales awards and by partners throughout his career. Actively practicing and encouraging a consultative and complex sales methodology, Russell has a pragmatic and straight talking style that rewarded him the respect amongst many of the business associates Russell has worked with over the years. Russell is a rugby fanatic along with his three sons - Russell prides himself on a strong work ethic whilst balancing an enjoyable and full home life. Russell graduated from Nottingham Trent University with an Honours Degree in Electrical and Electronic Engineering in 1998. I've worked in various capacities covering operations, relationship management, sales, business development and management. My accomplishments include building teams from customer service agents through to senior account managers from the ground up and guiding the strategies we have applied to a wide spectrum of customers - from SME to global entities. Throughout, I have applied the same ethos of finding the right solutions to drive performance. The most interesting thing about my experience is the incredible people I have the privilege of working with in an international arena - both internal and external stakeholders. Helping them solve long-term challenges with solutions designed to help their businesses' success is one of the many facets of my career that I am passionate about. I have the responsibility of using my 11 years' experience in the EMEA region, my skills and my energy to lead a team of exceptional account managers in our mission to consistently exceed targets. We work in a relationship-driven business that yields significant revenues - our success is nothing without the trust of our customers and the ability we have to galvanise our strengths internally. 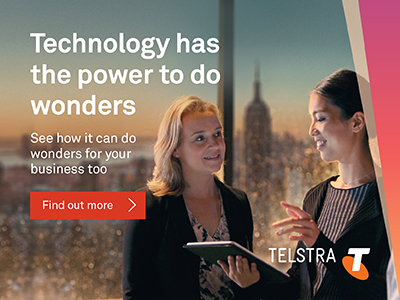 Telstra's values reflect the importance of our customers: showing we care; working better together; trusting each other to deliver; making the complex simple and finding our courage. Our customers are the foundation on which our business is built and our mission is to ensure our customers are delighted with their experience. I thrive in an environment where I am challenged and the volatility of changing markets within the dynamic region I work in demand a constant willingness to learn, develop, initiate change and be unafraid of taking responsibility for calculated risks in order to protect the longevity of our success. 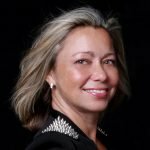 Miranda re-joined MEF in January 2016 after some time spent overseeing the compliance departments within two mobile messaging companies. She has also previously worked for the UK Premium Rate Regulator and in her previous role at MEF, Miranda managed projects and activities on a global and regional basis which addressed the monetisation of mobile content and services, the protection of revenues, policy development, regulation and education. Miranda currently supports the Global MEF team and membership across MEF’s key initiatives and Programmes, including its Messaging Programme, Consumer Trust, MEF Africa and Regulation. Divya is a technology and business leader with 16+ years of experience in wireless and telecommunications. She has been managing diverse leadership roles in product, strategy and program management. Currently she is leading the product management of Next Generation and Cloud Communication Services. As Head of Innovation she is responsible for Go-To-Market strategy, product life cycle and profitability. She evangelizes new products and solutions to offer innovative solutions to MNOs, MNVOs, and OTT providers. 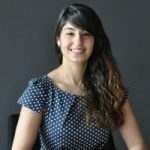 Currently Director, Digital innovation at Telenor Global Wholesale division, Aurelia has held a variety of roles in Telenor, both at operation and Group level. Expert in Emerging markets, Aurelia has an extensive experience from South East Asia and Africa as well as Europe. She spent 2 years in Myanmar where she was heading the roll out of all international services for Telenor green field operation on both on wholesale and retail (including voice, messaging, signaling and roaming, international top up, IP transit, national and international interconnects). From strategy formulation to product development and sales, her area of expertise includes – Project & program management, Team set up, Group and cross border /Cross functional projects, Product roll out wholesale and retail, segmentation & Partnerships. Aurelia holds an MBA from Paris School of Business and lives in London. 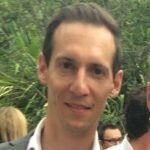 Theo van Andel is senior manager field development vertical marketing focusing at business and innovations at the intersection of telecoms and enterprises. Special interests are the IoT technology adoption driving enterprises to transform to digital and cities to become smart. 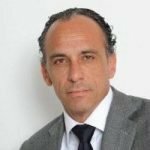 Theo has over 20 years’ experience in the IT and telecommunications industry and served as Marketing Manager for Alcatel-Lucent (Nokia) in Benelux, Nordics and Baltics and as marketing Director Benelux for Huawei Technologies prior to joining Equinix in 2016. Theo Bachelor of Science in Technical Computer Science from the Polytechnic Faculty of Rotterdam and studied Management at the Nyenrode Business University. Mark plays a leading role in identifying and developing Epsilon’s cutting edge Cloud and communication strategies, with a focus on market and customer needs. A veteran telecommunications professional, Mark served 14 years with Telstra and other high profile Telecommunication companies such as NTT and eircom. Mark held leading Products and Marketing roles in Telstra’s move into the European market in the mid 90’s, and wrote NTT’s European ICT strategy in the mid 2000’s which they continue to deliver today, as well as winning NTT’s first ever World Communications Award. Mark has also held executive Marketing & Product Director positions at Cap Gemini TMN UK and spent 8 innovative years in the Mobile Roaming world including at WSI’s first US Roaming Hub and launching Syniverse’s first hosted intelligent network services portfolio. 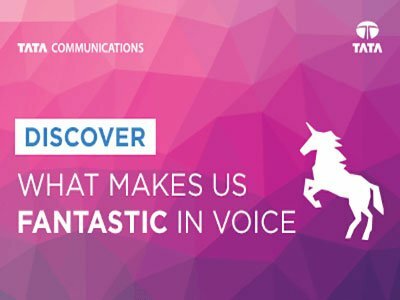 Recently, Mark spent 4 years at NetDev that had developed the next generation of web based OTT voice, video and WebRTC service functions, as well as developing the leading innovative Audio Conferencing platform at BT, which now includes Spatial Audio. Bank of Telecom ® is the international voice market for telecoms suppliers. Bank of Telecom® offers ALL its Suppliers valuable market information on Routes, such as Price, Quality and Capacity for Retail and Wholesale trades, as well as traffic on fast secure and cost effective payment terms with the help of Bank of Telecom ® payment partner Western Union. Suppliers can join Bank of Telecom® and become Members following a simple verification process. Bank of Telecom® Members can Post Routes at the Price and on the Terms they wish to offer. When a Match is achieved, a Deal can be made. ALL Bank of Telecom ® Members receive fast payments for any value of payment for a single US$20 charge saving over 70% on normal bank wire charges for recipients of funds. Bank of Telecom ® is a registered trade mark of, and is owned and operated by, Internet Mobile Communications Ltd.
Bankai Group is a globally recognized leader in ICT and services sector, with interests in wholesale & retail Voice and Telecom Technology business. Since last 29 years, we have been instrumental in providing ultimate Voice & SMS Carrier Solutions worldwide with exceptional competence in IP interconnects. We automate the businesses of telcos, carriers, Tier 1 & 2 operators and service providers through BridgeVoice, an automated carrier platform for online trading & settlement of Voice, SMS and Unified Communications & Collaboration services. We also offer indigenously developed Mobile Finance Solutions, BSS and NSS for the telecom & VAS industry. Brodynt is a Virtual Network Operator offering Telecom and IT solutions to national and international Service Providers such as ISPs, Carriers and System Integrators. Our customer base is spread all around the globe. Brodynt can virtually offer any kind of Internet and VPN access available. We are wholesale cost-effective, yet our business-grade network solutions can be deployed in more than 180 countries through a partner base of 800+ partners. Our remarkable advantage of being partner-neutral lets us choose the most appropriate solution taking into account the full scope of what is really available at each location around the globe. Crosspoint provides colocation and network services across 10 London data centres and has been supporting wholesale telecoms customers since 2004. Our colocation solutions range from 1U to multiple cabinets with a particular specialisation in part-rack colocation, including our dedicated quarter and half racks modules. These offer a high quality, secure yet cost effective point of presence for carriers or their customers alike in the key London network ecosystems. Crosspoint also offers data centre interconnects as 10Gbs waves or 1Gbs pseudowires between all our London sites and Internet ports where required, we are AS42040 and proud members of LINX. ITENOS, headquartered in Bonn, Germany, is an experienced specialist for secure IT and telecommunications solutions. Established in 1993, ITENOS belongs to the Deutsche Telekom Group, but acts as an independent company within it. With a staff of 175 employees, ITENOS offers customised high-security ICT solutions, focusing on Data Centers, Networks and Managed IT Services. The ITENOS IT processes are certified to ISO 20000 and its information security to ISO 27001:2013. NGN CORP delivers best-in-class international wholesale voice solutions to telecom service providers worldwide. Our Team continuously strives to provide our partners with the highest level of quality and service, keeping the end-user satisfaction always in mind. Fast reaction to market changes and partnership with key Tier 1s and operators, gives us flexibility and competitiveness. NGN CORP focuses mainly on Africa and Middle East with many niche directs to which we offer best market rates. NIGSUN TELECOM is a Voice, Data and SMS service provider with its point of presence in United Arab Emirates, France, United Kingdom and Pakistan and having expertise along with a dynamic team to deliver triple play services. Our success is reliability, quality and competitive connectivity. Nigsun Telecom’s latest addition is a State of the art, environment friendly Tier III Data Centre facility at Stevenage UK, offer flexible and range of services for Cloud, Connectivity and Capacity. We are interconnected with major telco’s. Our range of services include, wholesale VoIP, Retail voice, IP VPN, Cloud solutions, IP Transit and DSL. Great service is what we are all about. Progressive Telecom LLC is USA based VoIP Service provider. We deliver consistent high-quality telecommunication services, driven by attitude which follow pragmatic system of thought grounded in solving problems and maintaining strong values. A carrier-class provider of Wholesale VoIP Market Call origination and termination. We deliver the highest quality, most comprehensive and affordable international voice and data solutions. We at Progressive Telecom LLC are interconnected with several Tier 1 voice carriers, Mobile Network Operators and high end quality carriers ensuring that the customer gets the best suited solutions and services as desired. Samitel Limited is one of the leading telecommunication providers for the digital world, headquartered in London, United Kingdom. Samitel serves the needs of the Telecommunication Industry by providing global voice services at competitive rates with particular focus on providing service and support of the highest quality to emerging voice markets. With a network spanning over 150 direct interconnects we offer global A-Z capability positioning ourselves as a key provider for voice services into these highly sought after voice markets. Our product portfolio includes voice services, roaming, sms managed services, internet backbone and professional Satellite Network management. Our aim is to help our customers and suppliers gain a competitive advantage in challenging conditions by allowing them to focus on their core functions as we continue to deliver services and solutions over and above expectations. Singularity Srl is an italian fast growing company active in the Voip Wholesale Market since 2010. Singularity has interconnections with over than 200 Partners around the world, including major Tier-1 carriers who assure it stability and quality of the Cli and Ncli routes. The montly volume is around 40 million minutes including both wholesale and retail traffic. Thanks to its professional team and to its strong tech support, Singularity is able to guarantee the best solution for each customer. Singularity is constantly looking for new interconnections and long-term business relationships. Since 2017 Singularity is active in the Sms market too. Founded in 2005, Uincall telecom Co.Ltd. is dedicated into providing China numbers、voice、SMS and other telecommunications solutions to all partners. Trusted by more than 300,000 clients at home and abroad, Uincall has immense inventory of virtual numbers and provides SIP Trunking connection around the world with different POPs in China, HK and Singapore, Uincall is well-recognized as innovateon leader and service provider in enterprise telecommunication industry. Universal Call Limited was established with a vision to provide partners with stable, high quality routes. It is managed by a strong team of professionals with a wealth of knowledge and experience gained within the world’s major telcos. A strong alliance with BDO, the world’s fourth largest accountancy firm, has allowed Universal to develop a specialized due diligence procedure for telecoms companies. This has allowed Universal to provide International VoIP services to more than 200 Tier1, Tier2, and specialized voice companies around the world. Universal would like to continue this momentum by developing a strong relationship with new partners. A UK based company, Universal Call Limited’s strategy is to achieve sustainable growth by forming lasting, productive relationships with new partners to compliment and augment its existing alliances with the world’s top wholesale voice providers. Universal’s approach is to act as a bridge between our numerous specialized Tier 1 and 2 telecoms VOIP carriers’ partners and global incumbent corporations for traffic originating from the rest of world. Vodacode is one of the leading reliable operators specializing in international and domestic voice traffic and SMS services for carriers, and a roaming specialist providing products in clearing, fraud and business services. 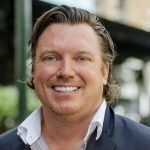 Founded in 2009 by managers with over 15 years’ experience in telecommunications, Vodacode’s mission is to increase carriers, mobile operators, cable and tier 2 companies profitability, by improving their cost base, through wholesale termination, SMS, and management consulting for corporate reorganization. Vodacode provides state-of-the art internet-connected telecommunication VoIP systems. Vodacode’s business philosophy is to provide customers with the best solutions and ensuring customer quality, savings and satisfaction.. Our rapidly expanding business, which now includes over 150 partners world-wide, is a testament to our successful model. Vodacode expertise is always available to deliver the quality and service our customers expect. Operating from three office locations in different countries, 12 years in the industry, 500 international carriers, a team of 120 personnel, WIC has become a reputable player in the retail and wholesale voice termination. Our retail traffic is generated from DID, Callshops and Dialler clientele, sending most of this traffic to East Africa, MENA regions and South East Asia. WIC engineers specialise in the provisioning of managed software services to small Telco’s: Callshops managed software, DID’s, Pinless and dialler managed software currently serving our customers in a number of countries. Established in 2008, WIC WorldCom Finance Ltd is the licensed finance arm of the Group. The company has developed bespoke internet platforms for instant transmission of funds across the world. 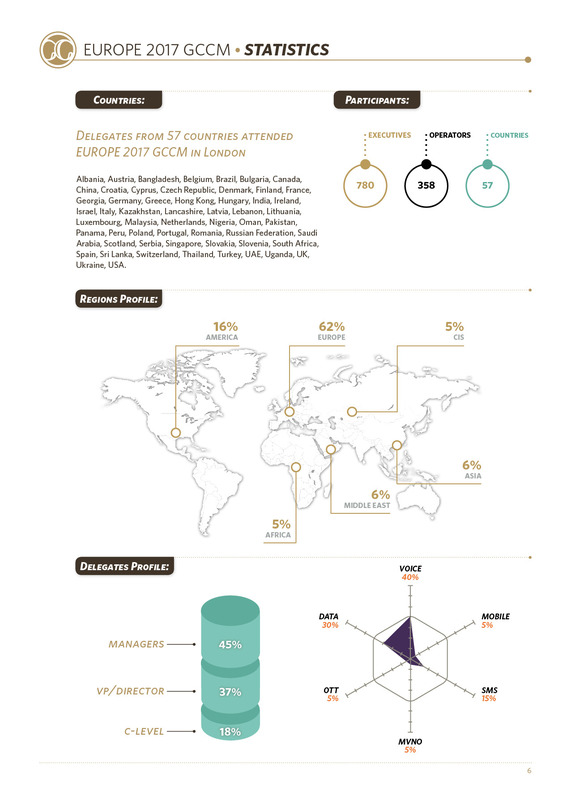 Our unique network of integrated business partners located in North and South America, Asia and South East, Europe, Russia and CIS has made WorldCom Finance a market leader with 50% growth year on year and an annual t/o of $150m generated from trusting returning clientele. Linxa is an innovative software company that provides wholesale business optimization solutions to telecom operators and carriers. Through its product portfolio Linxa enables telecom companies to manage every aspect of their wholesale business. The product portfolio of Linxa consists of 3 main products: Linxa Connect – a wholesale business optimization software, Linxa Switch – a carrier grade class 4 soft switch Linxa Cloud – a hosted wholesale platform. Linxa Connect provides an integrated interface with a modular approach for managing different aspects of the wholesale business with Linxa Rates, Linxa Simulate, Linxa Route, Linxa Monitor and Linxa Bill with a proprietary approach on cost optimization and quality increase. Linxa Switch is a high performance, scalable and hardware independent Class 4 soft switch that can work together with existing network nodes. It has an unparalleled processing power with 5 thousand CAPS and unlimited concurrent call capacity through its proprietary system architecture. Linxa Cloud is a hosted wholesale platform that is powered by Linxa Connect and Linxa Switch. Linxa Cloud allows carriers to start their wholesale business without any initial investment through its locations in Frankfurt and Dubai. Invitech Carrier Services is the leading, largest alternative fixed-line service provider owning an extensive access network in Hungary. Our network already covers almost every site of the top 500 enterprises and our 9000 km fiber optic network and impressive local access coverage reaches the 100 largest cities in the country. With boardercossings to six neighbouring countries (Austria, Slovakia, Ukraine, Romania, Serbia, Croatia), Invitech is enabled to successfully serve its retail and wholesale customers on a regional level. Beyond the traditional products Invitech Carrier Services offers futureproof solutions to its customers in the field of managed/outsourced IT services. With over 250 satisfied wholesale partners and its integrated product portfolio Invitech is a significant player in the CEE region, offering high quality, fast, reliable and flexible solutions at reasonable prices to its partners. SDI is one of the oldest and major retail companies in the united states starting with traditional calling card services to pinless services and now with two MVNO services within the states. SDI has become one of the major retail players in the states with the latest addition of MANGO MOBILE as the second MVNO. SDI started its wholesale division in 2014 for management of traffic as well as hubbing business, which has since inception doubled the revenues on all international outbound traffic. Headquartered in NY, USA and presence in UAE, India, DR, Colombia and Turkey the group is home to 150+ employees and growing. For more information you can visit our websites: www.sdicard.com, www.sditelecom.com, www.mymangomobile.com, www.black011.com. Squire Technologies provide signalling solutions in VoLTE / IMS, NGN VoIP and SS7 markets, with a customer base consisting of Fixed and Mobile Operators, MVNO’s, ITSP’s, Wholesale Carriers, Equipment Vendors, Integrators and Solution Providers. Flightcase is a IT / Telecom Support & Network Operations (NOC) Solutions Provider and a well - received Managed Service Provider to customers worldwide. We support clientele with our FTE professionals varying their support from IT Network Operations of niche IT & telecom companies to managing their Analytics / Reporting Accounting / Data analysis tasks. We ably manage/monitor our client's support operations with a significant cost reduction as well as provide the right interface for Entrepreneurs, Carriers and Service Organizations to get their support for different service domains. Verscom Solutions is a market leading Systems Integrator and an innovative Cloud PaaS/SaaS Service Provider to Tier 1-2 Communication Service Providers as well as Wholesale Voice/Data Aggregators across the globe. Our Go Cloud Service bundles ODINE, our suite of intelligent wholesale voice business management applications which provides flexible policy driven routing, route optimization, offer management, rating, billing, number portability, technical and business reporting & analytics, as well as dispute management, with best-of-breed SBC, TDM/SIP Interworking, and Transcoding services. 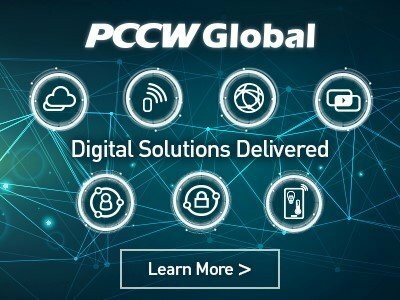 As a part of our end-to-end approach to providing Solutions for CSPs, we have a wide portfolio of solutions including IP Voice, EPC, IMS and VoLTE, Wi-Fi Offload, SD-WAN and vCPE, DPI/GiLAN, and many others, with a focus on next generation NFV and SDN based architectures. With regional offices in Istanbul, London, Dubai and Lahore, Verscom Solutions’ geographical presence, experience, and cultural fluency bridges Europe and Asia, while uniquely serving emerging markets across Africa. I would like to thank you for the nice hospitality you reserved to TIS’ team and for the event itself which was very well organized. We highly recommend your events to everybody who wants to hear about them. The event was very positive for us, we achieved important goals for our growth and we proudly represented Latin America carriers. London GCCM it is an important event will definitely attend on next year, everything seemed supreme. London event was very busy, and yes I hope it will be beneficial. — Krzysztof Kornacki, Board Member - Wholesale Voice at LoVo S.A.
We also had a good conference in London, you and your team did an excellent job. IPro Networks Pte. Ltd. Singapore.